Think you are addicted to sweets? Sabotaged by mindless snacking and stress eating? This conversation will expand your awareness of what might be driving these – or any other compulsions and obsessions you might find creating misery – and introduce you to the mindfulness solution. The impact of mindfulness practices on stress eating, cravings, mindless snacking, compulsive overeating – all of it – is something you have heard me talk about before. Yet we are hungry for good news surrounding these points of behavior, aren’t we? Because the impact of troubled eating behaviors is the source of a great deal of human misery. Which explains the extreme popularity of this video, which I posted on my You Tube channel recently, immediately upon production of same. 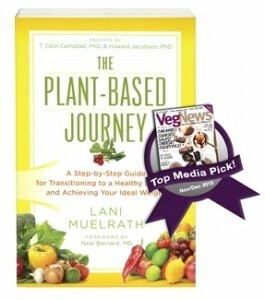 This informal facebook LIVE event, recorded via Jill Ann McKeever through her Facebook group Jill Ann McKeever Plant Based Lifestyle Support Group, dives into some of the content you’ll find in The Mindful Vegan: A 30-Day Plan for Finding Health, Balance, Peace, and Happiness . 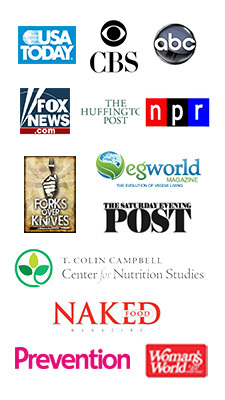 Specifically, I investigate and share how mindfulness practices and eating mindfully relieve stress eating habits. Mindfulness does this through two primary avenues. First, mindfulness helps you get under the surface of your disquieting states in a new, direct, productive way. Not through analysis, rolling the ‘why’s’ over and over in our heads, or running with their stories. Second, mindfulness teaches us to listen to, connect with, honor and respect our body’s natural fuel signals. Hunger. Fullness. And how eating mindfully means paying attention and meeting these needs. changes this destroyer of health and happiness. not taking the time when we’re hungry (which results in stored hunger which results in – well, you know what! Food blowouts – and simply eating too much of the foods that are not the best choices. habitually ‘cutting back’, missing meals, eating according to measured quantities that may have nothing to do with your body’s fuel needs,or eating late. Eating late refers to late response to hunger signals rather than time of day. So, for example, you are hungry at 11:00 a.m. but “lunch” isn’t until 1:00 p.m., so you try to white knuckle it through. Letting go of all the exterior controls of when and how much you eat when becoming a body-managed eater can be terribly scary. When we are used to following diet ‘rules’ – no matter how many times they failed us in the past – they still became a source of refuge, mentally, that we are reluctant to let go of. This is where mindfulness practice made all the difference for me – essential to shifting my relationship to food, eating, and my body in this most fundamental way. I look forward to hearing your thoughts in comments below! I love this video. I just watched it for the third time, and I hear something new each time. I never realized how much fear there is in taking a different approach to eating! 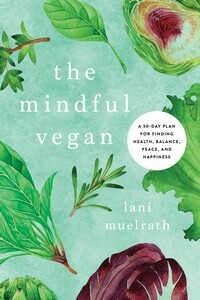 Can’t wait for my copy of The Mindful Vegan to arrive. So glad you posted this here. Hi Shannon! Just saw your post and your comment is deeply appreciated. Yes, it’s amazing what layers we have loaded over the eating experience, once we learn how to look a little deeper! I hope your book arrives soon – if not already in hand!